Wilson Language Training believes in the importance of community engagement and supporting worthy organizations to help make the world a better place. Below is a sampling of our Community Outreach efforts; organizations that we support may change year-to-year. In honor of Earth Day, Wilson staff volunteer in our local communities by planting greenery, collecting trash, and managing overgrown brush. By clearing debris and nurturing the greenery of our local parks and town centers, Wilson aims to make the community a better, healthier place. We are also dedicated to being green on the Wilson campus. We have solar-powered energy, use water stations instead of bottled water, and purchase green cleaning products for the office. 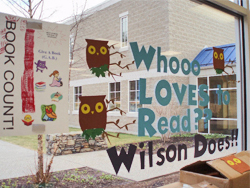 To encourage children to read during the summer months, employees have donated more than 5,000 books to the Worcester Public Schools. Throughout the year, our employees contribute to the local food pantry to help those who are struggling in our communities. 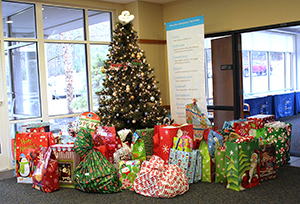 During the holiday season, our employees generously contribute to local organizations that are in need of holiday presents and/or warm coats for the cold weather. 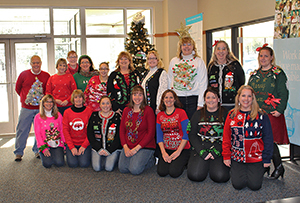 Wilson Language Training and its employees have donated over $55,000 to various charities selected by employees. Representatives from a selected charity are invited for lunch and provide a brief presentation about their work. Here are just a few charities our employees have contributed to – with a 100% company match!